Intriguing Hair selling high quality Hair Service Deposit wig extensions, hairstylists, celebrity hair extensions online at affordable price. Free Next Day Shipping. Shop Now! Fee required to book an appointment. Please put requested Date and Time. Fee is deducted from service price. For example you want an appointment for a lace closure install. The cost is $200 once deposit is paid. You owe only $150 the day of your appointment. Fee is refundable with at least 24 hours advance notice. You will be charged an additional $25 to install hair extensions from another company. 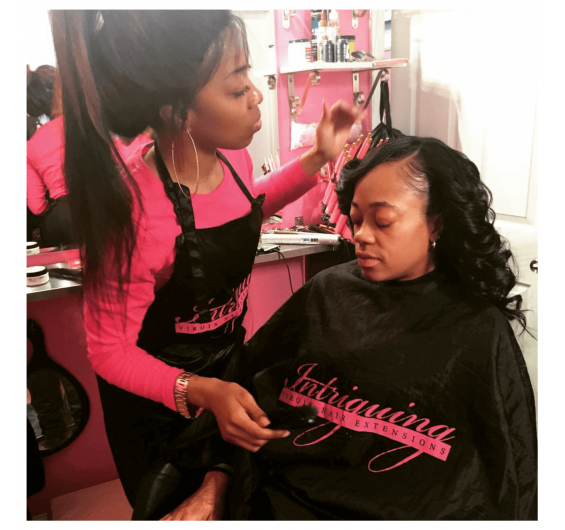 Thank you for choosing to book your hair service at Intriguing Hair’s salon in Boston. A $50 deposit is required to book an appointment at our hair salon. This fee will be deducted from the total cost of the service at the time of your appointment. For example, if you want to book an appointment for a lace closure install, the deposit cost is $50, which must be paid prior to coming to the salon. The total cost for lace closure install is $200, but since you paid the $50 deposit in advance you will only owe $150 at your appointment. The deposit is fully refundable with at least 24 hours’ notice before your appointment. Making a deposit in advance helps us serve you better.